The Shardana were a population coming from West Mediterranean, they were warriors that in the II century b. C. were forced to abandon their lands together with other Sea People. During the reign of Ramses III, after they had lost many naval battles, they were forced to raise anchor from the Egyptian coasts with the wind at their back and the memory of their country in their hearts. Their voyage ended in Sardinia where they settled down. The Shardana created the nuraghe, as a big low relief in the Temple of Thebes shows, and they established the Nuragic civilization. They were warriors which wore short skirts and armours and held a triangular sword in their hands. 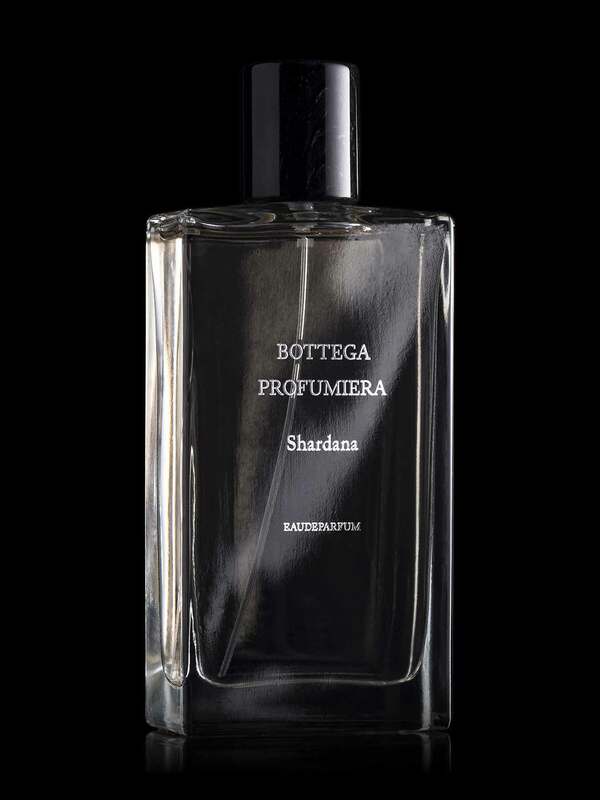 Shardana were a people at arms with a rebel heart and this fragrance, Shardana, is inspired by their personality and by the features of their adoptive country, Sardinia. The olfactory notes of Shardana evoke the long journey of that population from their country to Sardinia, a long crossing in open sea with the wind at their back and the salty air in their noses. War and peace, sea and land are the great contradictions which find their balance in an intense olfactory note. You only have to close your eyes to smell the same spirit of that population which settled down in Sardinia: this is Myrtle, while Patchouli and Sandal with their natural intensity recall a sea squall. The sweet force of Anise slips in and makes us dream the majestic sea. The olfactory notes crash like the waves do against a boat which is struggling for its salvation, as well as the Sandalwood and the Cedar Wood combine with the Musky note. This unique treasure is so amazing. I love wearing this because I feel like no one else around smells quite like me. The presentation is also amazing. So happy I found this niche fragrance house. Сам парфум мені дуже сподобався—дуже витончений, із нотками спецій на початку. А далі —щось неймовірне: вихор із добре підібраних пахощів, які гармонійно зливаються у єдиний, неповторний аромат.